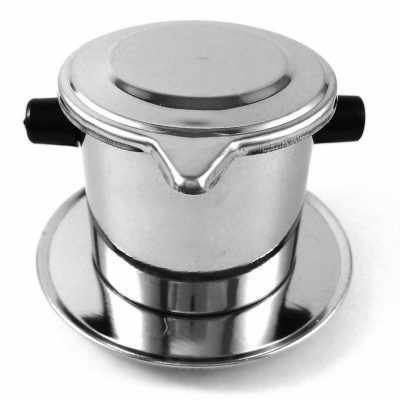 The Vietnamese Phin coffee brewer is a simple and effective coffee maker. 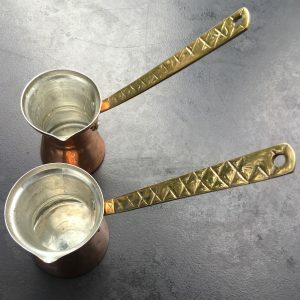 Easily make small or large cups with the brewers on offer. This is the method coffee is regularly offered in coffee shops in Vietnam. 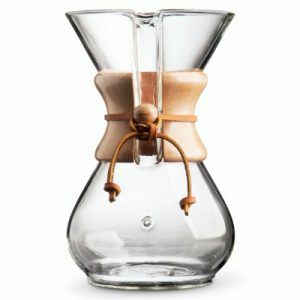 The Phin brewer uses gravity to brew the coffee. No need to external pressure or work. Simply add coffee, water and wait. A lid – to keep the heat in. Note: There is a version called a Chinese brewer. With this brewer the coffee press screws in. 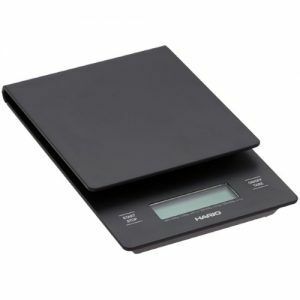 You control the strength you want by selecting the quantity. We found on the small brewer a ratio of 12g (about 2 teaspoons of coffee) to 120ml (a more or less filled phin) worked well. Grind it to a course filter grind. 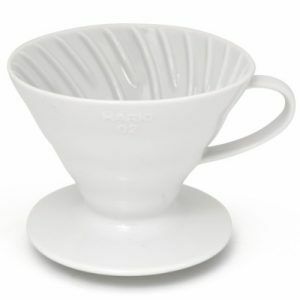 Put Phin saucer on to cup. 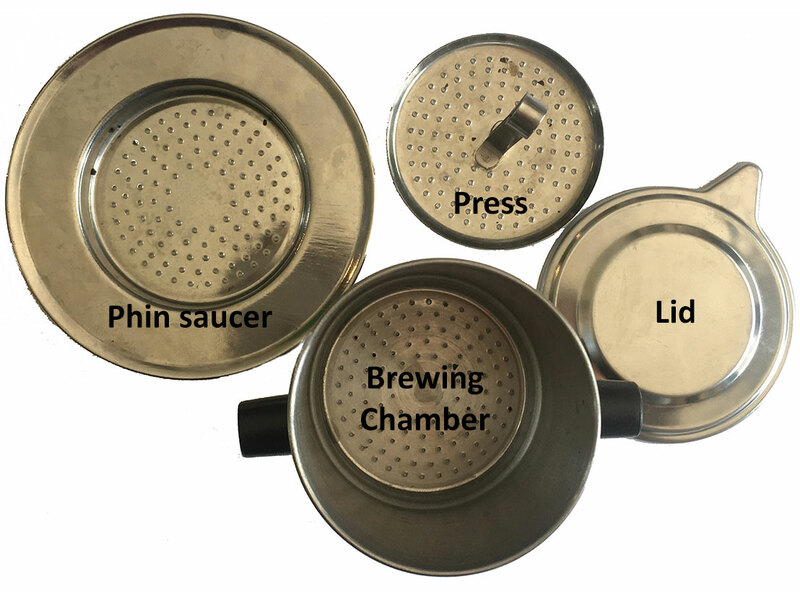 Place Phin brew chamber on to Phin saucer. Add coffee in to brew chamber. Place press on to of coffee, in the brew chamber. Pour water gently on to the top of the press. Place lid on to the top of the chamber. Remove lid, turn upside down and place Phin on top of lid to prevent leakage. 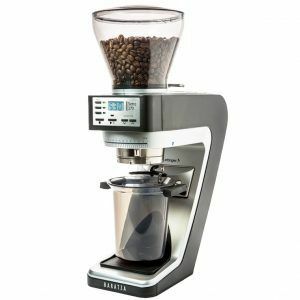 You can also make iced coffee with the same brewer. To do this add ice cubes into the cup. Brew as per above, but put less water in (since ice is water). And Enjoy. Vietnam is the second biggest producer of coffee in the world. Over 90% of their production is Robusta. So almost always Vietnamese coffee is sweetened with condense milk. 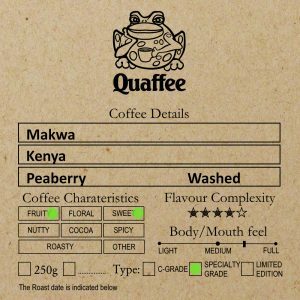 To make this type of coffee buy a dark roasted coffee like our old school blend, and brew as normal then add 50% condensed milk.